Colin Shindler, Cambridge University Press, 2015, pp. 411. 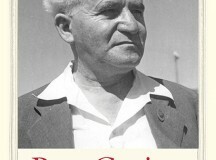 This book will serve as the definitive history of the Israeli Right in English. Building on his previous works on the subject, Shindler has produced a well written, accessible work of value for students, academics and educated laymen alike. The introduction in particular is likely to serve as compulsory reading on many university course reading lists. Shindler is at his best in his survey of the pre-state era. Here a wealth of primary source material has been mined. 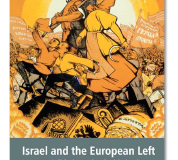 Particularly fascinating is the way he exposes the influence of fin-de-siècle ideological trends in Europe on the formative thinking of the Zionist Right. The character who gets the most space in the book is Jabotinsky, the founder of the Zionist Right. Jabotinsky was very much a secular European intellectual, a liberal nationalist in the mould of Garibaldi, whom he greatly admired. Indeed, as Shindler demonstrates, paradoxically, he was the most liberal of all the leading figures on the Zionist Right. Opposed to Jabotinsky within the Zionist Right, were the more parochial maximalists of the Revisionist youth movement Beitar, the Irgun and the Stern Gang. The clash between these two orientations represents one of the underlying themes of the book. Publicly, the Zionist Right was united by territorial maximalism. Yet Shindler demonstrates that, unlike the rest of the Right, Jabotinsky considered supporting the 1938 Peel Plan which called for partition of British Mandatory Palestine; though he eventually came down against it for practical rather than ideological reasons. Moreover, Jabotinsky strongly opposed – in principle – the transfer of part of the Arab population of the proposed Jewish state also suggested by the Peel Plan. Instead, he proposed full individual rights for Arabs in the Jewish state, and cultural autonomy for the Arab sector, with Arabic as an official language in the Jewish state, alongside Hebrew. Despite his advocacy of these positions, Jabotinsky was pessimistic about this model being accepted by Palestinian Arabs in the short term. For unlike the bulk of the Zionist Right, Jabotinsky recognised the existence of Palestinian nationalism and he expected them to resist the Zionist movement, on the basis of this nationalist sentiment. Consequently, he famously advocated an ‘Iron Wall’ strategy. However, while advocating the development of military capability for defensive purposes, Jabotinsky was no militarist. Unlike the maximalist Right he only advocated military force for defence – not for conquest. He was also very cautious and conflicted about retaliation against Arab terrorism, in stark contrast to more radical elements on the Right, as Shindler demonstrates. As befits a book with a historical focus, relatively little attention is given to developments on the Israeli Right in the last 25 years. In this connection, Shindler argues that the contemporary Israeli Right has very little to do with Jabotinsky’s ideas. One might also add that the militarism and admiration for fascism and dictatorship that characterised the radical maximalist revisionists like Abba Achimer and Avraham Stern also dissolved into oblivion a long time ago. Yet, while the specifics of these ideologies are largely dead, the tension between a more liberal and a more particularistic orientation continues. On the particularistic side of the equation are the religious parties, both the Jewish Home party led by religious-Zionists and the Haredi Parties. For many years the religious parties focused on the sectoral interests of their constituents and did not identify with either the Right or the Left. But, over the last 25 years they have become the ‘natural allies’ of right-leaning Israeli governments and their influence is on the rise. Religious-Zionists are now fully integrated into Israeli society and as such feel less need for a party to defend their sectorial interests. As such, religious Zionist MKs are now found in a variety of political parties including the centre-left party Yesh Atid. But still the bulk of religious-Zionists identify with the Right. Building on this social confidence, Naftali Bennett has sought to reach out beyond his core religious constituency to make Jewish Home a party that can vie with the Likud for leadership of the Right as a whole. Meanwhile, the Haredim are becoming more assertive on matters of religion and state, as they feel their power rising due to the rapid demographic growth of their community in both absolute and relative terms. Another major segment of the Israeli Right is the secular party Yisrael Beitenu, led by Avigdor Lieberman. Its base consists of immigrants from the former Soviet Union. In the 1990s this electorate was politically independent, but it has since become an integral element of the Right, with Lieberman transforming himself into a leading figure on the Israeli Right in general. Unlike the Revisionist founders of the Israeli Right, these various groupings of the contemporary Right do not share a common political or ideological base. In fact, not only do they oppose each other on issues of religion and state, they also hold different views on the future disposition of the territories – with Jewish Home opposed to partition and Yisrael Beitenu campaigning for it. What they do share is a particularistic orientation, combined with varying degrees of hostility to liberal dominance of the Israeli legal system, and with the partial exception of the Haredi leadership, strong support for a very hawkish security policy. At the same time, Jabotinsky’s more liberal orientation has had more influence that Shindler allows for. To begin with, the current President, Reuven (Rubi) Rivlin, is very much a disciple of Jabotinsky, both in his opposition to Palestinian statehood and in his strong stand in favour of equality for Israel’s Arab citizens. Moreover, I would argue that the trend towards the acceptance of partition on the mainstream Right has been informed by the same values as espoused by Jabotinsky. For Jabotinsky, the commitment to liberal democracy and Jewish statehood was fundamental, more important than his commitment to territorial maximalism. This order of priorities led many Likud MKs including Dan Meridor, Tzipi Livni and Tzachi Hanegbi who grew up in the ideological hot house of the Revisionist movement to come to support partition, in order to preserve Israel’s identity as a Jewish and democratic state. Echoing Jabotinsky’s recognition of Palestinian nationhood, Tzipi Livni has championed the ‘two states for two peoples’ formula. However, also like Jabotinsky, many of this cohort remain sceptical that the Palestinians are willing to accept a two-state solution. This centrist trend is especially strong among the most important decision-makers. Thus, the last three Israeli Prime Ministers, all of who hailed from the Right, have moved in the same direction. Ariel Sharon instigated the disengagement from Gaza which involved removing around 9,000 settlers from their homes, Olmert offered Abbas a Palestinian state on the equivalent of 100 per cent of the West Bank and Gaza (with mutual territorial swaps) including the division of Jerusalem, while Netanyahu accepted a two-state solution in his Bar-Ilan speech and declared his willingness in principle during the 2013-14 peace talks to negotiate on the basis of the 1967 borders. So while political actors on the Right have dominated Israeli politics since the collapse of the Oslo process, paradoxically, their political positions have shifted significantly in a more moderate direction – with security trumping ideology as the touchstone of their approach. 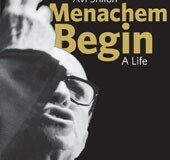 Within the Likud, as Shindler notes, the transition from the leadership of Begin and Shamir, who were both highly ideological Revisionists, to Netanyahu represents this shift of emphasis, though it is also shared by other leading figures in the party such as the Defence Minister Moshe ‘Bogie’ Yaalon, a former Kibbutznik who was initially supportive of the Oslo process. Indeed, this emphasis on security goes a long way to explaining the Israeli Right’s success in attracting the support of the moderate centrist electorate which still holds the key to Israeli political power. For the centrist public remains, in principle, supportive of a two-state solution involving extensive Israeli compromises. However, in practice it does not believe that, even if Israel were to make greater compromises than those it favours, it would receive even the minimum level of peace and security required in return. 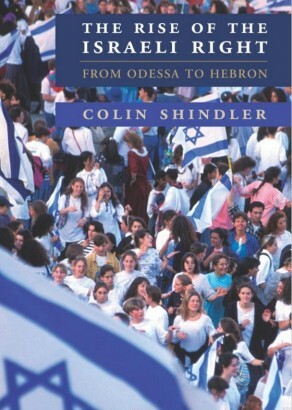 Colin Shindler, The Triumph of Military Zionism (IB Taurus, 2006 ) The Land Beyond Promise: Israel, Likud and the Zionist Dream (IB Taurus,2002). Jonathan Rynhold and Dov Waxman, ‘Ideological Change & Israel’s Disengagement from Gaza’ Political Science Quarterly 123 (1) 2008, pp. 13-37.